Saffron is used in traditional Persian medicine as a mood lifter, usually steeped into a medicinal tea or used to prepare rice. 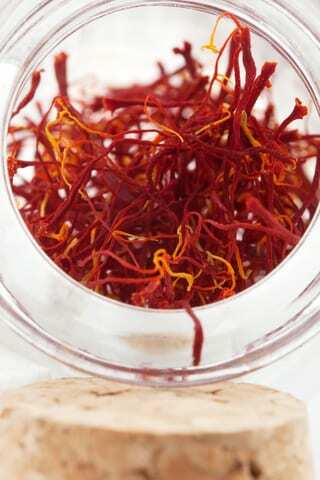 Research from Iran’s Roozbeh Psychiatric Hospital at TehranUniversity of Medical Sciences has found that saffron may help to relieve symptoms of premenstrual syndrome (PMS) and depression. In one study, 75% of women with PMS who were given saffron capsules daily reported that their PMS symptoms declined by at least half, compared with only 8 percent of women who didn’t take saffron.